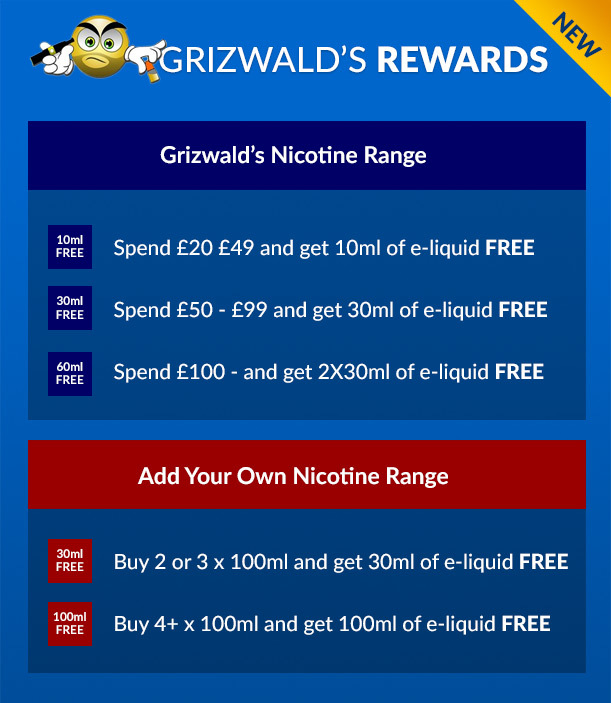 Grizwald's Caramel Cappuccino gives a great balance of rich cappuccino coffee on the inhale and silky smooth caramel on the exhale. A great vape for the times when you need that little extra boost. The 80/20 VG mix is new to our range due to many people preferring a top heavy VG base so if you have been satisfied in the past when purchasing our e-liquids then you should opt for the 70/30 PG option. Please note that if no selection is made then orders will be sent out as 70/30 PG mix.